Every year Halloween pumpkin decorating is a must. Every child loves to show their creative ideas, but sometimes carving pumpkins is a little too difficult. To keep things fun and simple, try painting pumpkins this year! There are so many different ways to do it. 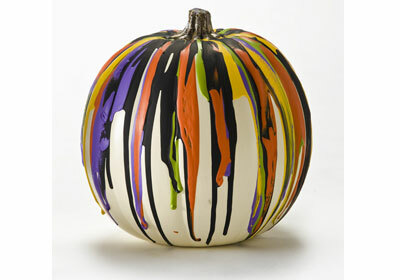 To get the juices flowing, here are 20 pumpkin-painting ideas. Pick out little pumpkins and clean them well. 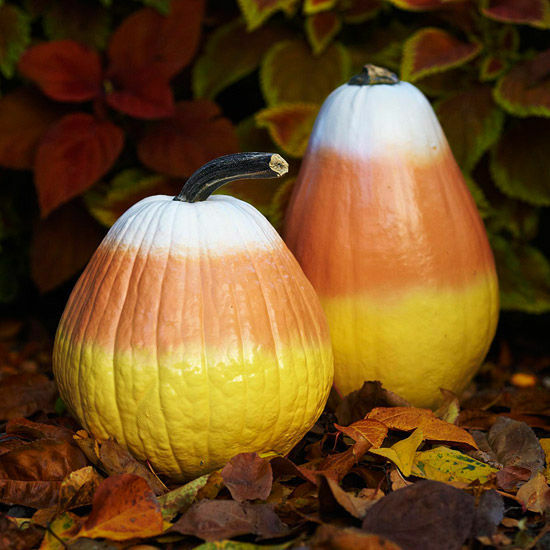 Small white pumpkins often look the best for this idea. Paint the top to look like donut frosting. Add colorful sprinkles and it’s done! Try making a dozen of these little pumpkin donuts and, they will look adorable in a box. 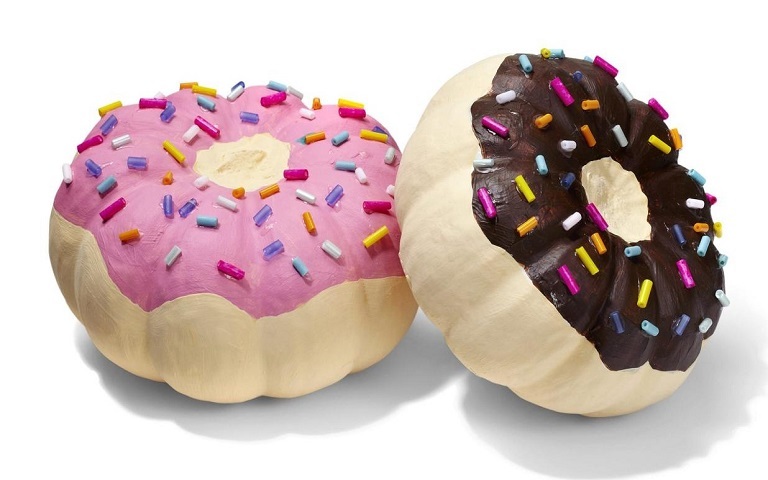 You will have the yummiest looking pumpkins of them all! Simply pick out an orange pumpkin. Make sure it is clean and free of any dirt. Paint the bottom third of it yellow. 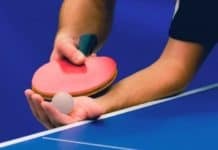 Leave the middle orange. Then paint the top third of the pumpkin white. 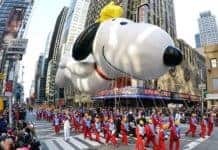 It will look like a giant candy corn! Picking out pumpkins that are tall and skinny often look the best for this idea. 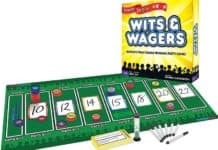 This idea is perfect for younger kids. Pick out any pumpkin color and size. Clean and dry well. Start are the top of the pumpkin, applying large amounts of paint. Let the paint drip down the sides. This is fun to do with a lot of colors and even glitter paint looks good too. Pick out any pumpkin and then clean and dry it. 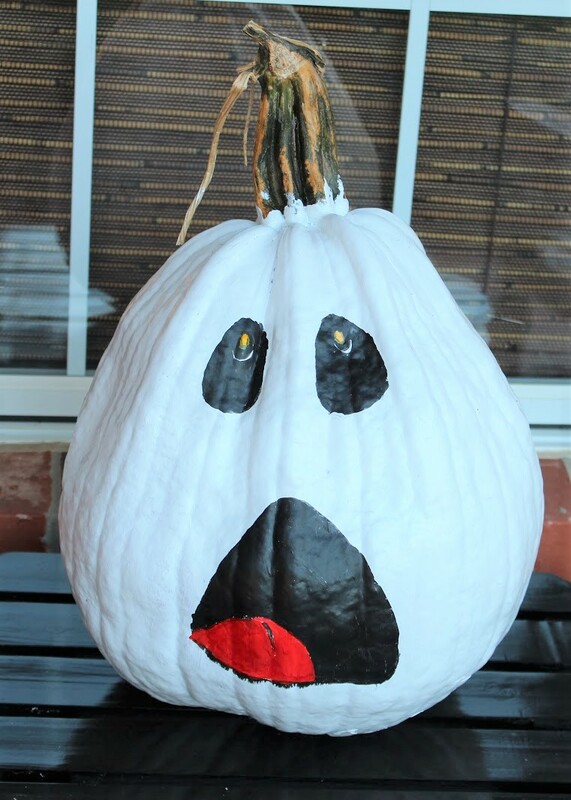 Paint the entire pumpkin yellow, or in the selected emoji color, and add face emotions! 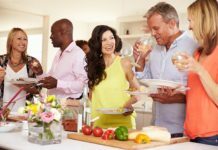 This is fun to do in a large group, everyone can pick out an emoji to cover. Of course, try sticking with the emoji faces, other symbols may get a little difficult. Try picking out a white pumpkin. If you already have an orange one, just clean and paint it white. Then add a skeleton face feature using black paint. 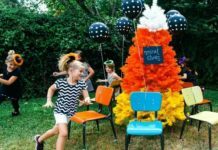 This spooky idea is simple and is a great Halloween decoration. Clean your pumpkin and paint it completely black. 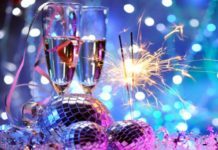 Then, add decorations that are white, gold, or even orange. This is also great as a decoration. 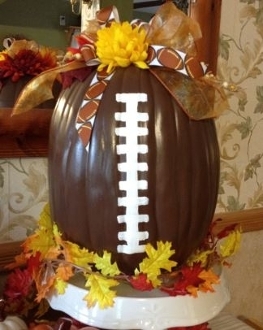 With pumpkins coming into season during the football season, it just makes sense to decorate one as a football. Find a tall pumpkin, clean it, and paint it a dark brown. Then add the white lacing. You can even add your team’s favorite color or a ribbon on top! 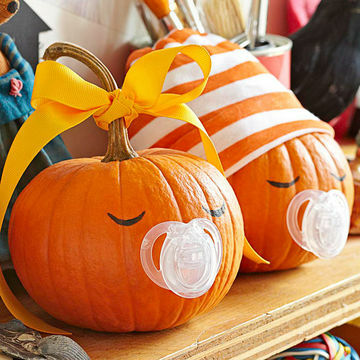 This fun and shiny idea works with any sized pumpkin. 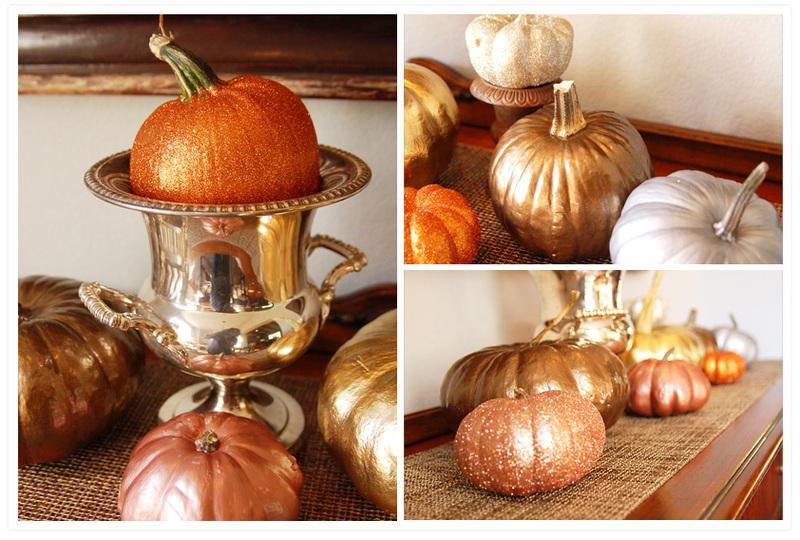 Simply add metallic spray paint to a clean pumpkin. Try gold, silver, or copper. You can also use masking tape to make designs and remove the tape after spraying. Pick out a handful of small pumpkins, any color. 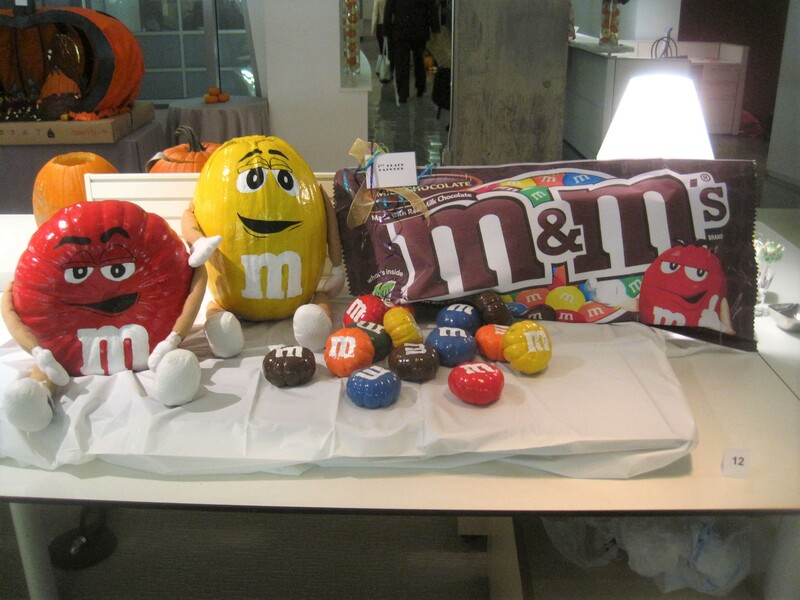 Paint them the color of M&M’s and add the white “M”. This is fun and almost looks like Halloween candy! 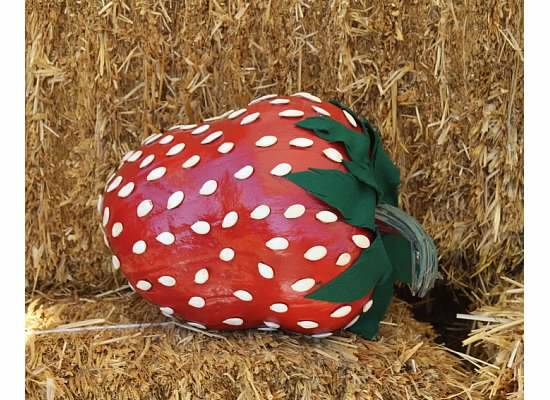 Pick out a pumpkin that has not been sitting upright, it will naturally lean over like a strawberry. After cleaning, paint it red. Add the green stem and white seeds. 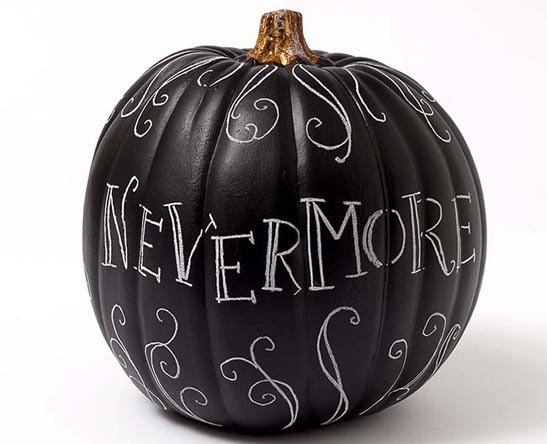 Paint a large pumpkin black. Make a white face and belly. Then add eyes, a beak, and even feet if you want. It will be one of the coolest pumpkins ever. 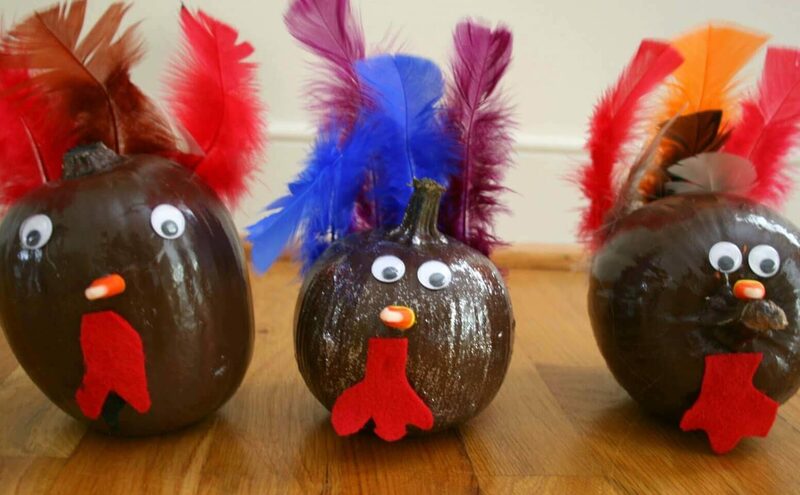 This is perfect for thanksgiving and super simple to make. After cleaning, paint a whole pumpkin brown. Simply add eyes, a beak, and feathers. 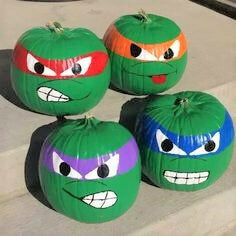 This is a great idea for green pumpkins! If you are unable to find any, simply paint one green. Then add a colored mask, eyes, and a mouth. These characters are so fun! 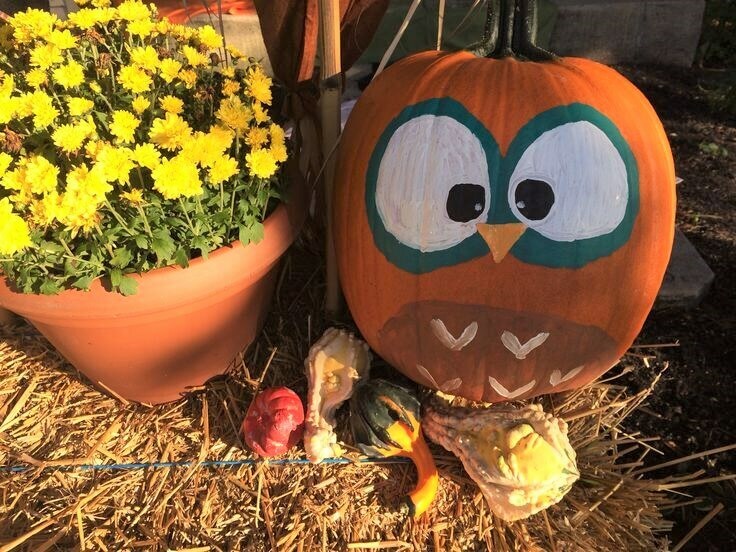 Add big eyes to turn a pumpkin into an owl. Add as much detail as you want, but know it is even cute without it. 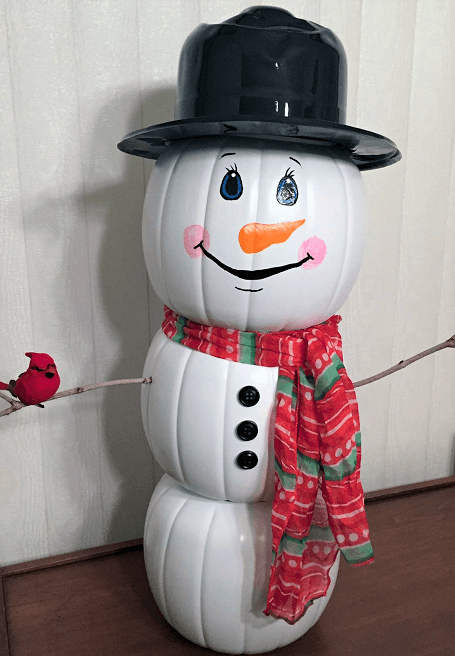 Get in the winter spirit and turn a white pumpkin into a snowman! Make a face and add a scarf. Pick out a handful of pumpkins and paint that is your favorite color. 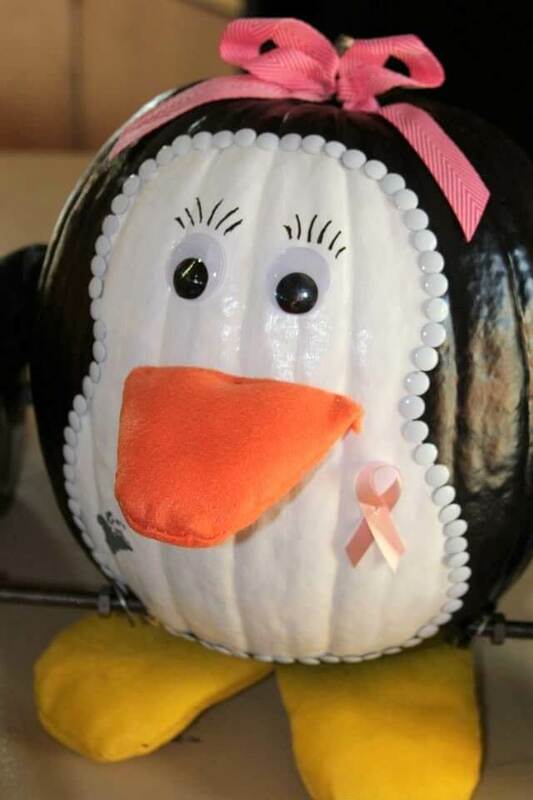 Paint one pumpkin at a time, adding more white paint to your color after each pumpkin. This will create an ombre effect when they’re lined up next to each other. 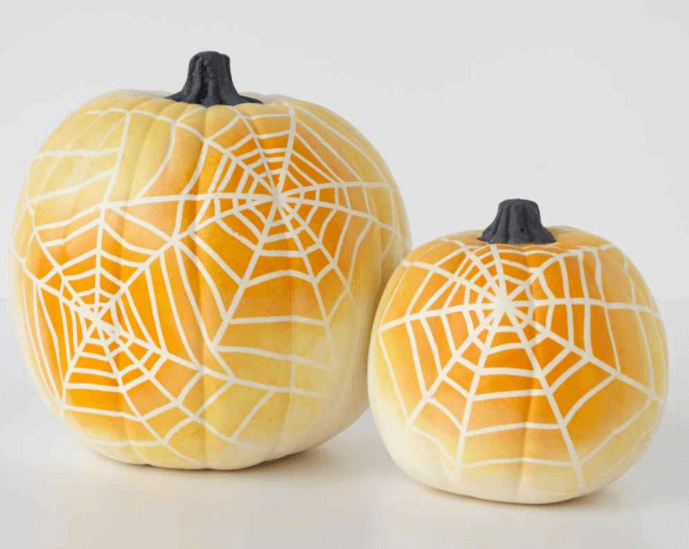 Use masking tape to make a spider web on your pumpkin. Paint over the tape. Once the paint is dry, remove the tape to show off the spider web! Simply paint eyes and add a pacifier. 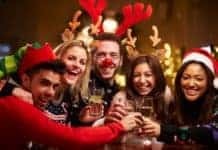 You can also add bows or baby hats. 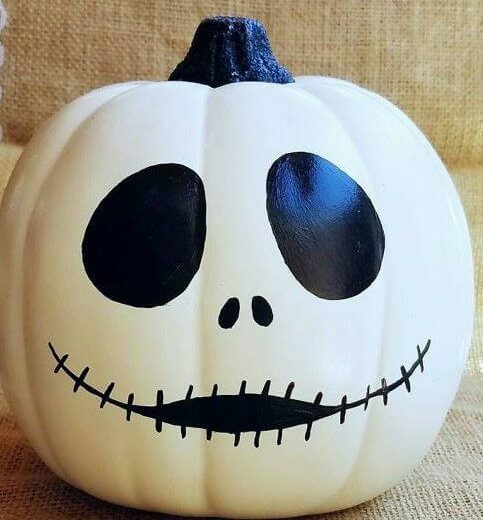 This super simple idea needs a white pumpkin. Add black eyes and an open mouth to make a ghost. This is a perfect decoration for trick or treating time. Children often do not want to paint pumpkins, because they want their pumpkin to glow! 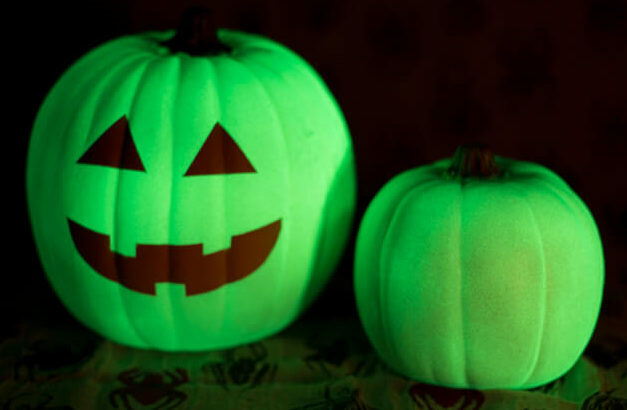 Let them paint their pumpkin with glow in the dark paint and then cut the lights!